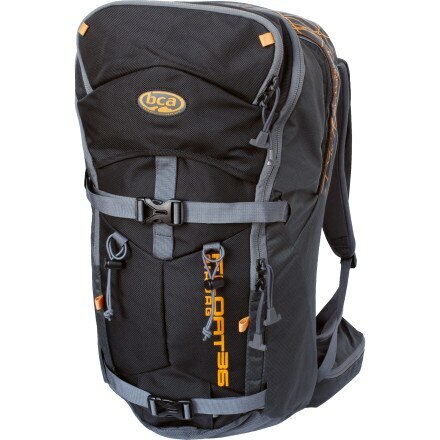 Was just looking over the backcountry.com Black Friday sale and these definitely caught my eye because 1) they are expensive at full price (and even sale price) 2) I know a ton of you out there have considered picking one up and 3) they are the future once they start getting adopted and economies of scale kick in and bring the price down to everyman level. They’ve got the Float 18, Float 30 and Float 36 (pictured below) on sale, and while still expensive it’s probably one of the few times you’ll see them on sale. If you want to see the BCA Float in action you can go here and see a few vids. Last March I nearly died in an avalanche while backcountry snowboarding in Japan. The slide sucked me under the surface of the snow and beat me within an inch of my life before spitting me out unburied. Hard tellin’ not knowin’, but had I been wearing an avalanche airbag pack that day I would probably have a lot less metal holding my pelvis together right now. The airbag would have helped keep me on the top of the slide and prevented the compression injuries I sustained while ragdolling under the surface. Mr. Lightcap’s logic is deeply flawed, but that thing does look pretty cool.